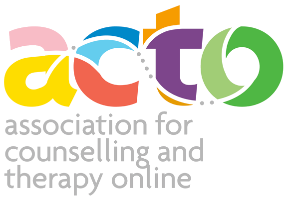 The Association for Counselling and Therapy Online (ACTO) is the representative body in the U.K. for professional therapists working online. They publish a Code of Ethics which all member counsellors agree to adhere to in their work with clients to ensure a professional service is provided. Rob is a member of ACTO, and therefore works to the ethical code set out for online therapists. Rob was also a member of the ACTO Executive Committee for over two years, serving in the position of Membership Officer, and was therefore involved in the furthering of quality online counselling provision for clients both in the U.K. and around the globe.